10 things you didn't know about chocolate! Chocolate is made from dried seeds found in pods on the cacao tree and it's loved everywhere from Temuka to Timbuktu to Texas. But you probably knew that. Here are facts you might not. 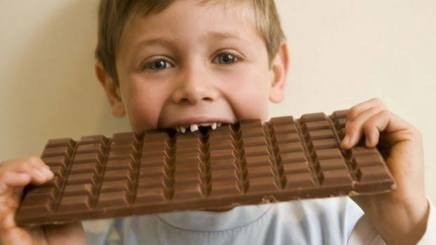 Chocolate will kill you if you eat a lot of it in one sitting. And by "a lot" we mean somewhere in the vicinity of 40 kilograms of milk chocolate or six kilograms of dark, depending on your body weight. Chocolate contains high levels of theobromine, a stimulant of the central nervous system, which can be fatal for Fido. Too much theobromine can cause seizures, heart failure and acute kidney damage. Still, there are probably worse ways to go than stuffing 500 Curly Wurlys in your gob. In the west, it's men who give chocolates to women on Valentine's Day – usually in the form of a six-pack of Ferrero Rochers from the servo. In Japan, however, tradition dictates that women gift chocolates to blokes on February 14, either in the form of "giri (obligation) choco" for co-workers where there's no romantic attachment or "honmei (true feeling) choco" for husbands, boyfriends and prospective dates.